A group supporting President Rodrigo Duterte arrived at the Luneta Park on Friday afternoon to show support for the burial of the late President Ferdinand Marcos at the Libingan ng mga Bayani. Seven members of the Duterte Youth Group positioned themselves across the street from anti-Marcos groups who were also holding a rally at the Rizal Park. The pro-Marcos group’s leader, Ronald Cardema, said he expects their numbers to swell from 100 to 200. 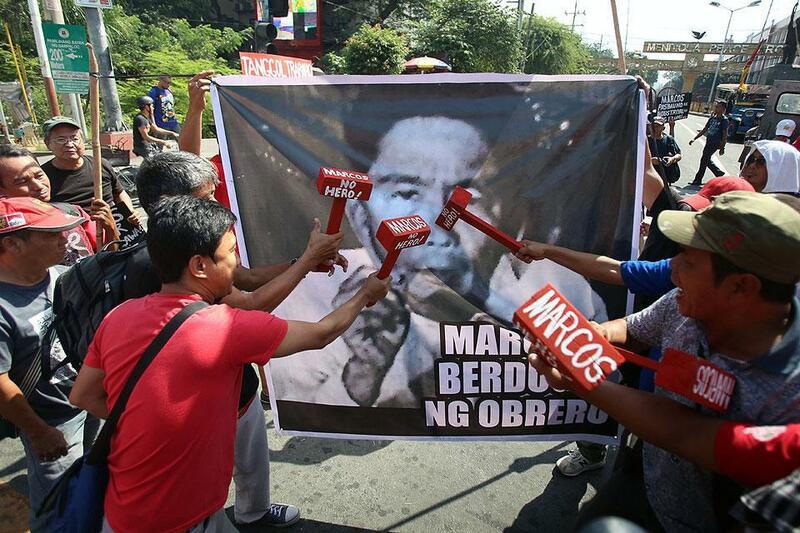 The group initially held their rally close to the anti-Marcos groups, but police requested them to move across the street so as not to block the walkway. Manila Police District officer-in-charge Senior Supt. Bartolome Bustamante said they asked the pro-Marcos group to transfer to ensure a peaceful protest.